The basic working of a humidifier, it adds moisture in the air. And before beginning our best cool mist humidifier reviews, we would like to tell you importance of using them. As we all know temperature falls drastically during chilly winter days, so it is utterly important to keep indoors warm. So definitely, you will make use of space heater in order to warm up living space. But artificially heated room results in low humidity which can cause adverse health effects. Using a humidifier along with room heaters helps to maintain good humidity indoors. This in turn, helps to prevents health issues caused due to lack of moisture in the air. In addition, cold mist humidifier is best for asthma patients. Also they consume less electricity than warm mist humidifier. We will discuss about more benefits of using a cool mist humidifier in our buyers guide section. And for now let us move forward with our 9 best cool mist humidifier reviews of 2019. 11.1 1. 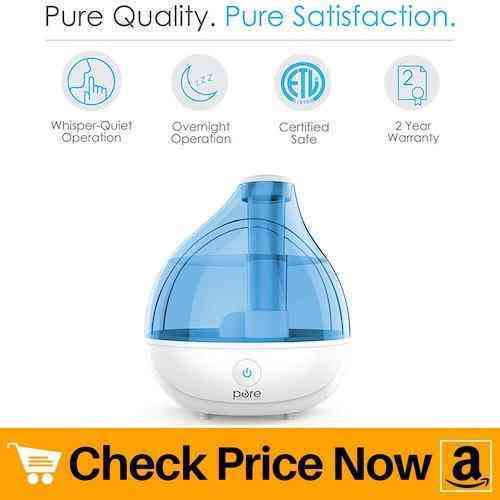 Cool mist vs warm mist humidifier? 11.2 2. 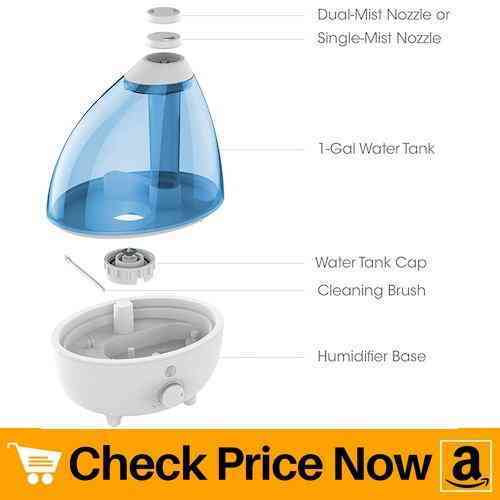 How to clean a cool mist humidifier? 11.3 3. Can you put essential oils in a cool mist humidifier? 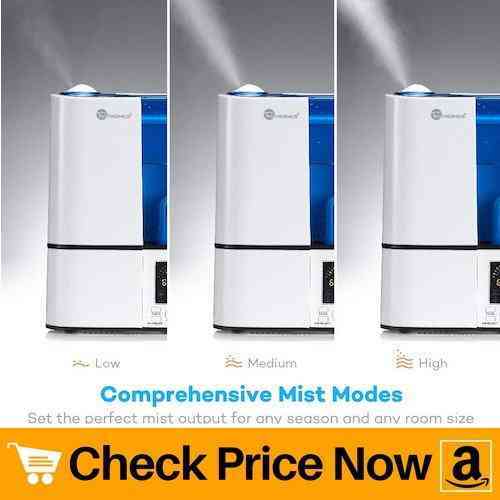 Pure Enrichment MistAir is the most popular cool mist humidifier with amazing features. The ultrasonic pure enrichment humidifier have a tank capacity of 1.5 litre. This much water capacity can continuously moisturize air for up to 16 hours on low setting. Therefore, makes it perfect for medium size rooms or offices. The automatic shut-off feature turns the device off in case of low water level. It also shuts down on removing the water tank. Apart from that, you get an option to change light of the unit. And by turning it on, you get a soothing glow which makes the place more comfortable. One good feature of this ultrasonic cool mist humidifier is presence of 360 degree nozzle on the top. As a result, you get an even amount of spray in all direction. Besides, filling up water tank is extremely easy. Also, from the outer surface of the unit you can easily view the water level. Thus, makes it easy to refill the tank. This unit is ideal to use in medium-size bedroom or office. Next on our best cool mist humidifier reviews we have a brilliant product from taotronics. If you wish to have a unit with great performance and style, then this product will not fail you. And above all, the led display makes the device more attractive. This unit falls under the category of best cool mist humidifier for baby. The reason behind it is, it produces noise less than 38 dB. Hence, it operates quietly and does not disturb sleep of your baby. Further, the micro-porous cartridge thoroughly purifiers air by filtering microorganisms. So all you get is fresh and clean air. Tank capacity of this humidifier is enough to use it continuously for 15 hours. Plus, it also gives you option to set humidity level. You can choose from three settings, low, medium and high, according to need. Apart from that, the provided filter is permanent and cleaning the filter is a breeze. Make sure to clean filter once or twice every month depending upon the hardness of the water. This ensures product performance remains intact. There is no doubt in saying that the benefits of a humidifier increases when you can put essential oils in them. And our next product allows you to put essential oil in a cool mist humidifier. So basically, you get benefits of essential oil along with advantage of using humidifier. First of all, this unit have large capacity with a super high mist output. 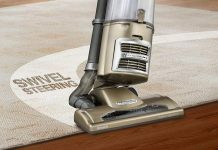 Therefore, makes it ideal for large rooms having area up to 400 sq ft. And most noteworthy thing about this product is, it can last for 50 straight hours between refills. Thus, making it one of the most efficient cool mist humidifier. You can add your favorite essential oil in the provided tray. The fan is responsible to circulate the oil along with the cool mist coming out from the top. This in turn, removes odor from the air as well as kills the airborne viruses and bacteria. Therefore, it proves best for people suffering from asthma and respiratory problems. Moving ahead, we have a ultrasonic cool mist humidifier especially for large rooms up to 500 sq feet. Design of this unit is simple yet beautiful. It comes with 2 different nozzle options to adjust the flow of mist. Thus, you get a powerful steam output which can humidify large area in short span of time. Three soothing night light options makes the device more convenient during dark. You can choose between red, green and blue. All it does is, increases relaxation while emitting smooth light from the unit. You get a cleaning brush free along with the purchase of this product. Also they have assigned a special spot in the base to keep the cleaning brush. Hence, you will never lose the brush again. 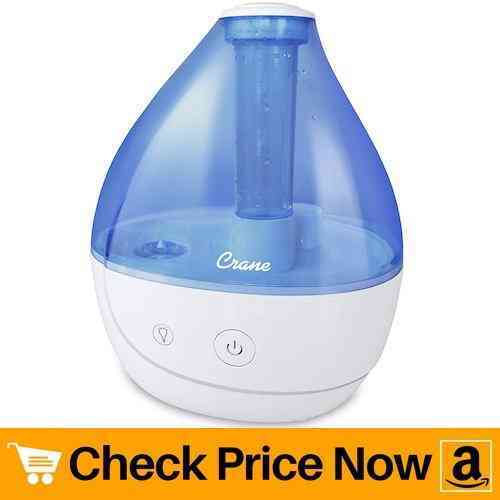 This crane ultrasonic cool mist humidifier is best for small rooms. Its water tank capacity is enough to moisturize room up to 250 sq feet. Furthermore, the unit can quietly run up to 18 hours depending on the vapor setting. Most interesting thing about this humidifier is, it does not contain any filter. Thus, no need to buy and replace filter every month. The transparent tank allows you to see the water content inside the unit easily. Plus you can control the direction of vapor with the help of 360 degree mist nozzle. And during bedtime you can switch on the night light option. This gives soothing glow and helps you sleep better. Overall, this unit Made in USA mist producer is perfect for small to medium size bedroom. Also it is one of the best cool mist humidifier under $50. And best of all, it is filter-less. 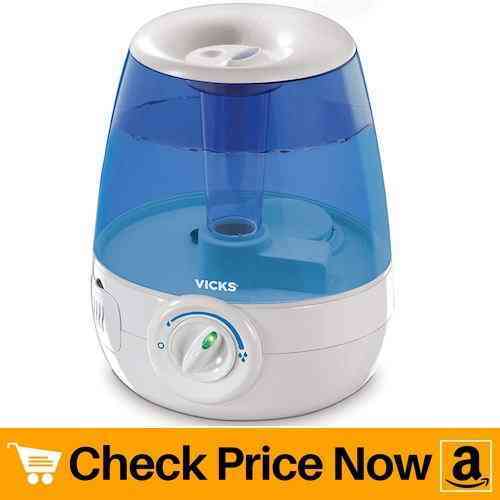 Next on the list we have is vicks cool mist humidifier. One thing which makes this device different from others is, absence of filter. So no need to worry about changing filter every month. 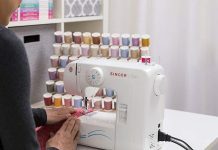 Thus, it reduces hassle and cuts the cost of buying filters. Apart from that, the tank capacity of this product can easily humidify medium size rooms or bedroom. Working capacity of this unit is up to 24 hours. However, if you use it on low setting it can last up to 30 hours. Thus, making it one of the most efficient cool mist humidifier on the list. Similar to most of the products, this model also have transparent tank. Therefore, it allows you to monitor the water level in order to keep the water up to mark. One attractive feature of this device is, it accepts vapo-pads. These pads have the same effect just like you apply vicks. You only need to place the pad in the slot and the humidifier will mix the solution in the mist. Eventually, you get a good smell, easy breathing and peaceful sleep. 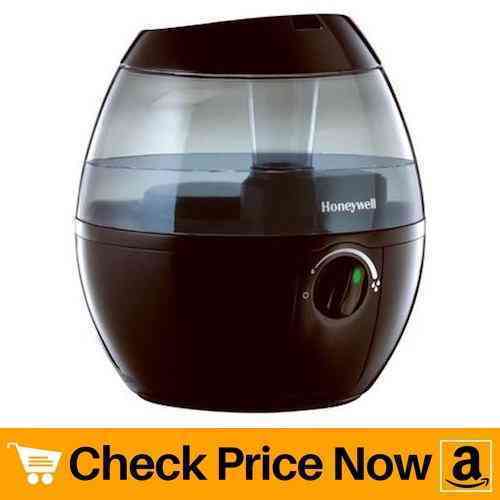 If you have difficult time cleaning the water tank then this humidifier Honeywell will help a lot. This Honeywell germ free cool mist humidifier have dishwasher safe water tank. All you need to do is place the tank properly inside the dishwasher. Thus, it reduces cleaning effort and dishwasher thoroughly cleans the tank. Apart from that, the tank is break resistant which further makes it dishwasher-safe. It have 3 speed setting to control the vapor output. Honestly speaking, the device runs quietly on low setting and generates little noise while on high. Besides that, it can run continuously up to 24 hours on low setting. In order to keep the performance of the humidifier intact, make use of honeywell filters only. Its germ free technology claims to remove 99.9% of mold growth on filter. This in turn, helps to spread more clean air. When it comes to kids, you seek a humidifier which works efficiently and quietly. So in order to fulfill these requirements we present you cute looking cool mist humidifier for baby. 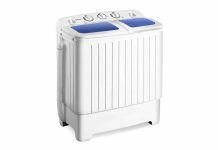 This ultrasonic humidifier have tank capacity to moisturize room up to 500 sq feet. Its cute animal design is what makes this device so popular for kids room. Crane USA offers 15 different shapes. All of these units have the same water capacity. Apart from that, it is filter-less. But there is room to add filter in case your home gets hard water supply. 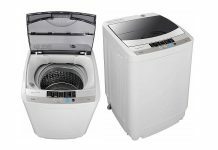 Similar to most of the products on the list, this unit also have auto-shut off feature. 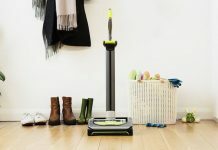 The device automatically shuts down on detecting low water level. Overall, all the features makes this device one of the best cool mist humidifier for baby. Last on our best cool mist humidifier reviews we have a product from honeywell. It comes in four solid colors with humidity level control knob at front. Besides that, the unit have capacity to run up to 18 hours on low setting. 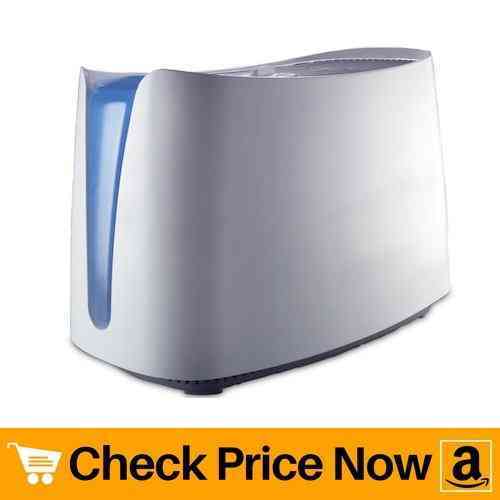 Thus, this humidifier is best for small rooms due to its compact size. As the unit is small in size it contains no filter. And in order to keep the performance intact, you should use distilled water. Apart from that, it throws out visible cool mist which helps to make your room more comfortable. And just like majority of the models, this unit also features auto-shut off system. The large tank opening makes cleaning of the device very easy. Not only it helps to clean the tank easily but eases filling of water inside the tank. And above all, this unit is extremely cheap. Thus, you can easily afford it and use in small and personal living space. You need to use soft or distilled water as it does not contain filter. So here we end our best cool mist humidifier reviews. To even be on safer side get your self a air purifier. Check our review here. We have made genuine efforts in order to help you buy the best model. Please go through our buyers guide section below. It will solve some general doubts about humidifier and help to get perfect model according to your room size. 1. Cool mist vs warm mist humidifier? Alright, so this is very common question about humidifier. People often confuse what kind of humidifier is best for them. Go through below points to understand difference between cool mist and warm mist humidifiers. 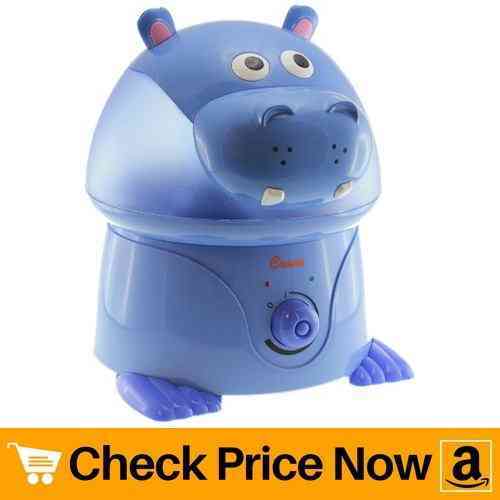 Best for children: Cool mist humidifier are best for children as they throw out cool vapor. Whereas in case of warm mist humidifiers, the vapor coming out from the device is hot. Therefore, which means you should not place warm mist device near or inside kids room. Power consumption: Cool mist devices consume less electricity as compared to warm mist humidifiers. The only reason behind it is, cool mist units does not require heating element to heat the water. Allergy and skin: Both cool mist and warm mist humidifiers are equally beneficial when it comes to cough and flu. Moisture in the air helps to prevent dry skin, chapped lips, nose bleeding, allergies and asthma. Safe: Cool mist devices are more safe to use as compared to warm ones. As they do not use warm water, chances of hot water accidents becomes less. 2. 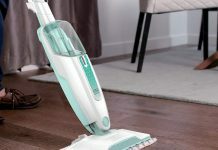 How to clean a cool mist humidifier? In order to prevent growth of mold and mildews inside the tank, you should clean your humidifier properly. And in the case of cool mist models, you must clean them once or twice a week depending upon the usage. Now let us begin with the cleaning process of a humidifier. Unplug the device and empty the water content inside tank. Soak the tank in large bowl containing lukewarm water. Keep it for 5-10 minutes. Now remove the wicking filter. This filter is responsible in moisturizing dry air. Gently remove it as you do not want to tear it. Next step is to remove the water tray present at the bottom. Soak the tray inside white vinegar for about 15-20 minutes. If you certain part of the tray is not cleaned properly due its shape, make use of sponge pad. After soaking the water tray in the vinegar clean it under warm running water. Doing this will prevent smell of vinegar from mixing into the humidifier. Add 1 tablespoon of bleach in 1 gallon water and fill the water tank with it. Now close the tank opening and shake the tank vigorously so that bleached water reaches every corner. Empty the bleach water in the sink. Now fill the water tank again, but this time only with plain water. Shake it again and pour the water until the smell of bleach goes away. Similarly, perform the same procedure with the water tray. The reason to use bleach in cleaning process is, it acts as disinfectant as well as removes mineral residue. Lastly, dry out all parts properly before putting them back together. 3. Can you put essential oils in a cool mist humidifier? Generally, you should not diffuse essential oils in a cool mist humidifier. They are meant to moisturize air and keep humidity level intact. But there are some models that contain a slot to add essential oils. Many people add essential oils in a cool mist humidifier thinking it might work like an oil diffuser. But they forget one major thing, they cannot control the output of oil. And excessive amount of essential oil present in the air can be dangerous. So in our opinion, do not mix essential oils inside humidifier. 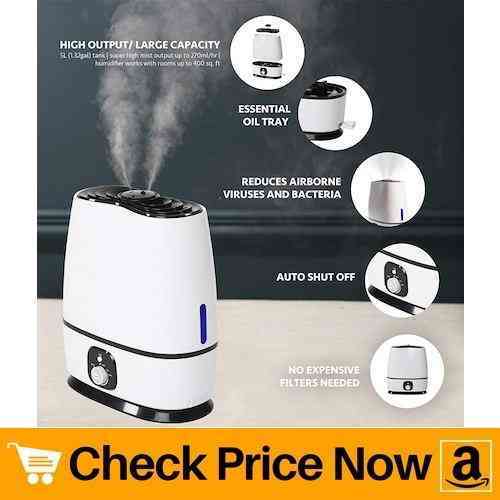 Still if you wish to have a humidifier in which you can add essential oils then go for Everlasting Comfort Ultrasonic Humidifier.Check it our here.